In 1995, months before the administration of U.S. president Bill Clinton found a peaceful solution at the Dayton peace talks to end the ethnic cleansing that had plagued Bosnia-Herzegovina for the previous four years, it found itself in the rare position of colluding with Iran to save Bosnian lives. The new flow of arms and ammunition has not yet put Bosnian Muslim forces on the same plane as their better-armed Bosnian Serb rivals, Administration officials said. But with the shipments of small arms, ammunition and anti-tank weapons amounting to perhaps hundreds of tons, they said it had made the Bosnian Government a more formidable force as a four-month-old cease-fire is about to expire. Two months after the Times reported the critical role Iran, then in the final years of the presidency of Hashemi Rafsanjani, was playing to save Bosnian lives, Clinton signed an executive order banning U.S. businesses from trading with the Iranian government and implementing sanctions on oil and other trade with Iran. It was a missed opportunity to thaw the 16-year diplomatic rupture with the United States. Iran’s reward at the time? Bush included it in his three-country ‘axis of evil’ alongside North Korea and Iraq in January 2002. 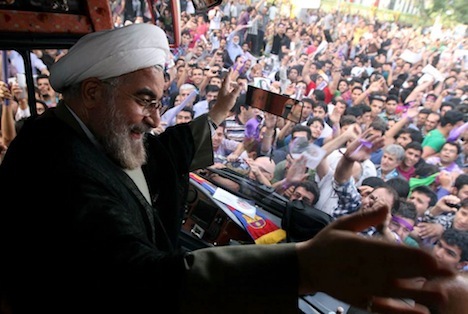 Hassan Rowhani, the moderate cleric and former Iranian nuclear negotiator, has won a first-round victory in Iran’s presidential election, a stunning development that, despite evidence of Rowhani’s surge, no one predicted even 24 hours ago. The victory was so stunning over a divided field of more conservative ‘principlist’ candidates that it calls into question the strategy of leading principlists to have remained in the race so long, thereby dividing conservative support and prohibiting the emergence of a single principlist standard-bearer. It’s no surprise that Qalibaf finished in second place, given the fact that he has a strong base of supporters in Tehran, where he’s served as mayor since 2005 and has been twice elected by the city council, and that he’s long been a critic of the administration of outgoing president Mahmoud Ahmadinejad. The two candidates most associated with Supreme Leader Ali Khamenei — current nuclear negotiator Saeed Jalili and longtime former foreign minister Ali Akbar Velayati — did even worse, despite reports that proclaimed Jalili a ‘frontrunner’ in the campaign. Jalili, with just over 11% of the vote, only narrowly outpaced third-time candidate Mohsen Rezai, the former head of the Revolutionary Guards who’s popular with rural Iranian voters. Velayati finished far behind in fifth place with just 6.18% of the vote. Mark Dubowitz, the executive director of the Foundation for Defense of Democracies, writes in The Atlantic this morning that Iran has a ‘presidential selection,’ not a presidential election. That will come as some surprise to Iran’s 75 million citizens, many of whom have turned out today to participate in the first of what is likely to be two votes to determine who will succeed outgoing Iranian president Mahmoud Ahmadinejad. Moreover, the ultimate winner of the election will pay a vital role in shaping policy for the struggling Iranian economy over the next four years and, more crucially for the United States, help determine the tone that Iran will take with respect to ongoing P5+1 negotiations over the future of Iran’s nuclear energy program. Iran’s democracy is, shall we say, less than perfect from any objective standards of democracy — Western, Islamic or otherwise. But Iranian voters know better. The election may indicate changes in the interfactional balance of power within the regime, and a victory by [Hassan] Rouhani or [Mohammad Baqer] Qalibaf may temper the tone of the regime’s nuclear intransigence, but there will be no change in substance. In the Islamic Republic of Iran, election in reality means selection. [Supreme Leader Ali] Khamenei will remain in charge. But that Khamenei will remain in charge is a coals-to-Newcastle argument. Today’s election is for president, not for Supreme Leader. We may not like it, but the dual roles of the Supreme Leader and the Iranian president are part of the system of Iran’s government for over three decades. You can, perhaps, think of the Supreme Leader as a strong head of state and the president as the head of government. It’s perhaps easier to think of Iran’s president as akin to a prime minister — Iran had a prime minister in the 1980s, but the office ended in 1989, largely because of the overlap between the president and the prime minister. It’s arguable that Iran’s president has more independence from the Supreme Leader than, in effect, French prime minister Jean-Marc Ayrault has from French president François Hollande. Perhaps Iran’s is not the most representative system, but it’s more representative than the dictator-for-life model that Hosni Mubarak effected in Egypt for three decades with the full bipartisan support of U.S. policymakers. It’s also more representative than the current system of selecting the leadership of the People’s Republic of China as well. 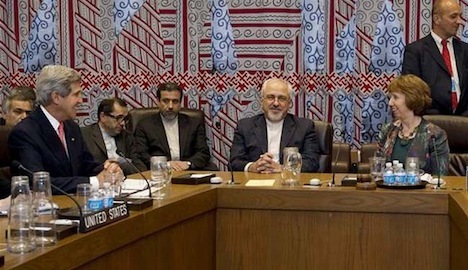 Dubowitz is right that there are many reasons to cast doubt on the role of the Guardian Council, a gatekeeper body comprised of 12 members, six appointed by the Supreme Leader and six by Iran’s conservative-dominated parliament. Despite hundreds of hopeful presidential candidates, the Guardian Council approved just eight candidates to run in today’s election, though two have already dropped out. The Guardian Council has never approved a woman to run for the presidency, and its dubious refusal to approve former president Hashemi Rafsanjani, a moderate seen as the best shot in 2013 for reformist-minded voters, calls into question the even-handedness of the Guardian Council. It also refused to allow Ahmadinejad’s chief of staff Esfandiar Rahim Mashaei to run, though many believe Mashaei’s campaign was a stalking-horse candidacy designed to provide Ahmadinejad a way to continue to influence policy despite a limit of two consecutive presidential terms. It’s only 10 a.m. on the U.S. east coast, but that means we’re approaching nighttime in Tehran — it’s now 6:30 p.m. and voters are finishing a day of voting to select a new president. 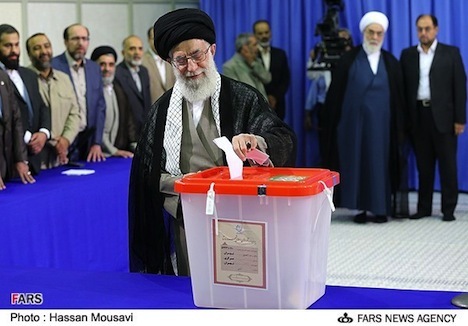 All of the candidates, plus Iran’s Supreme Leader Ali Khamenei (pictured above), have cast their ballots in what is expected to be just the first round of the election. With eight candidates originally approved to run by Iran’s Guardian Council and with six candidates remaining in the race today, it seems unlikely that any single candidate will win the 50%-plus support required to avoid a runoff of the top two vote-winners next Friday, June 21. Polls showed that the most likely runoff would be between moderate cleric Hassan Rowhani, Iran’s former nuclear energy negotiator, and conservative ‘principlist’ Tehran mayor Mohammad Baqer Qalibaf, though I have argued that the race is so fluid that any of the top five candidates could wind up in the runoff, including current nuclear negotiator Saeed Jalili, former foreign minister Ali Akbar Velayati and the former head of the Revolutionary Guards Mohsen Rezai. The winner will replace outgoing president Mahmoud Ahmadinejad, himself the former mayor of Tehran, whose populist focus on economic issues swept him to power in 2005 and to reelection in 2009, though his relationship with the Supreme Leader has frayed in recent years and many of the current candidates have blamed him for Iran’s economic woes and the international sanctions and diplomatic isolation that Iran suffers today. 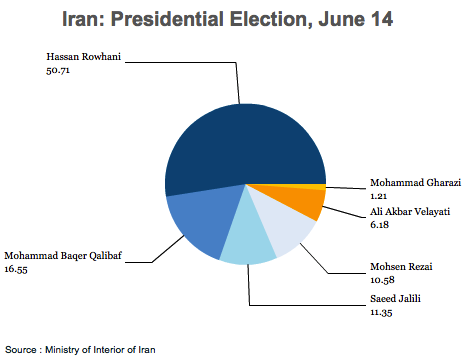 Despite initial disappointment at the Guardian Council’s refusal to permit former president Hashemi Rafsanjani to run, the race has turned out to be incredibly competitive, and the six candidates represent a relatively wide diversity, as far as Iranian elections go. Candidates come from both the ‘founding’ generation of the 1979 revolution that led to the establishment of the Islamic Republic and the younger generation that came of age during the brutal war with Iraq in the 1980s. Candidates also come from both the principlist camps and the moderate/reformist camps. Far from boycotting the race, Rafsanjani and former president Mohammed Khatami have urged voters to back Rowhani, and Khatami’s vice president, Mohammad Reza Aref, dropped out the race earlier this week in favor of Rowhani, and former supporters of the 2009 presidential candidate Mir-Hossein Mousavi and the ‘Green movement’ are likely to back Rowhani as well. I’ll have additional thoughts when the winner(s) of the race become clear. In the meanwhile, you can follow all of my coverage of the Iranian election here. Iranian president Mahmoud Ahmadinejad has never been one to shrink from a political battle — not during his breakthrough 2005 presidential campaign to his heated, not in his routine, over-the-top attacks against the United States and Israel, and not in his more recent fights with Iran’s Supreme Leader Ali Khamenei over personnel and other policy disputes. Ahmadinejad is limited to two consecutive presidential terms and therefore is not eligible to run for reelection in this month’s presidential race, so it was always certain that he would fade somewhat to the background as the race focuses on the six candidates hoping to succeed him. But it’s staggering to note just how minor a role Ahmadinejad has played in the campaign, especially in light of the fact that he was very recently attempting to boost Esfandiar Rahim Mashaei, his chief of staff, to the presidency, thereby giving Ahmadinejad a key role in Iranian affairs even after his own administration ends. But the Guardian Council refused to permit Mashaei, to run for president earlier in May when it also disqualified former president Hashemi Rafsanjani as well. 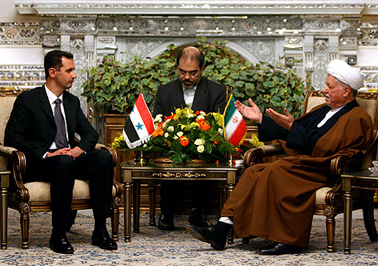 When Ahmadinejad tried to make Mashaei Iran’s first vice president in 2009, Khamenei made a rare and direct intervention into domestic politics to overrule the decision and ordered Ahmadinejad to replace Mashaei. Since his reelection four years ago, Ahmadinejad’s growing rift with principlists loyal to Khamenei have increasingly isolated him within Iran’s domestic political sphere. One of the reasons why Mashaei is believed to be such a unique threat to the Supreme Leader is that he’s been willing to champion a form of Persian nationalism that harkens back to the time before Shi’a Islam took root in what’s now modern-day Iran. Mashaei’s ties to Ahmadinejad were forged three decades ago, when Mashaei served in the Revolutionary Guards and in Iran’s intelligence ministry during the 1980s war with Iraq. He joined Ahmadinejad’s city government when Ahmadinejad became Tehran’s mayor in 2003, and he held a key advisory role during Ahmadinejad’s first presidential term. But there are other reasons why Khamenei and his conservative ‘principlist’ allies have been wary of Mashaei, including conciliatory comments towards Israel — he once remarked that Iranians are friends of Israelis. Furthermore, in a country where presidents are required to have religious as well as political credentials, religious conservatives have called Mashaei a ‘deviant’ due to Mashaei’s relatively relaxed views on matters such as the role of music and dancing in Iranian life to the wearing of the hijab. 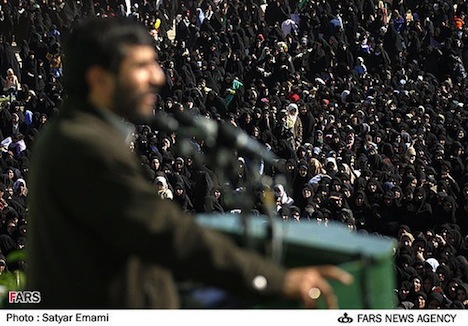 Ahmadinejad responded to Mashaei’s disqualification by claiming that Mashaei was ‘wronged,’ adding that he hoped Khamenei would intervene and call upon the Guardian Council to reconsider its decision, but those calls have been met with silence from both the Supreme Leader and the Guardian Council. Since then, however, Ahmadinejad has remained uncharacteristically subdued, in a way that mirrors the relatively quiet role that the unpopular former U.S. president George W. Bush — a longtime Ahmadinejad foil — played in the 2008 presidential election. Although critics of Iran’s political system have charged that the eight candidates approved by the Guardian Council are all conservatives (the field has now whittled down to six after two hopefuls dropped out earlier this week), they nonetheless represent a fairly wide range of generational, clerical and ideological diversity. Moreover, Ahmadinejad’s turbulent eight years in office have as been the target of much criticism throughout the election campaign, including as to his handling of Iran’s sputtering economy, growing inflation, widespread unemployment, and the way in which he’s isolated Iran’s position internationally, which has led to economic sanctions that have only exacerbated Iran’s economic woes. None of the candidates in the race seem incredibly inclined to embrace Ahmadinejad. It’s been a fast-paced 36 hours in Iran’s presidential election, with two of the eight approved candidates exiting of the race following Friday’s third and final presidential debate. Monday brought news that Gholam Ali Haddad-Adel would drop out of the election, reducing the number of conservative ‘principlists’ competing for votes in the first round of the June 14 presidential race. Haddad-Adel, who served as the speaker of Iran’s Islamic Consultative Assembly (Majles) from 2004 to 2008, and whose daughter is married to the son of the Supreme Leader Ali Khamenei, did not specify an endorsement for any particular candidate, though he previously belonged to the ‘2+1 Principlist’ coalition that included former longtime foreign minister Ali Akbar Velayati and Tehran mayor Mohammad Baqer Qalibaf, and his exit from the race will likely mean fewer votes spread among Velayati, Qalibaf and Iran’s current top nuclear negotiator, Saeed Jalili (pictured above preparing for a recent presidential debate). 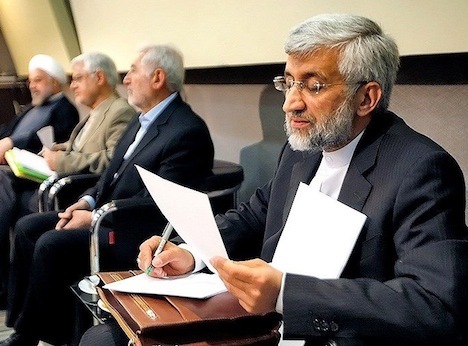 Today brings the news that Mohammad Reza Aref will also drop out in favor of moderate candidate Hassan Rowhani, which gives moderates and reformists a chance to unite behind one candidate. Aref, who served as communications minister and vice president under former reformist president Mohammed Khatami, allegedly ended his presidential bid after Khatami asked him to step down. 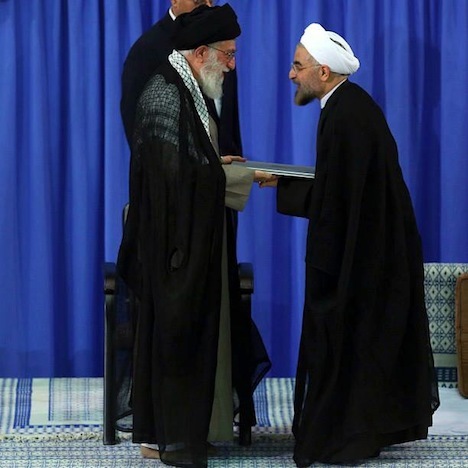 Khatami has now endorsed Rowhani, who is seen as more of a moderate than a reformist. 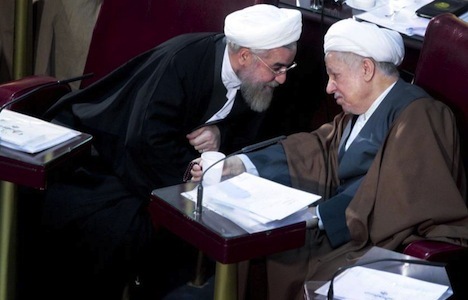 Rowhani is very close to former Iranian president Hashemi Rafsanjani, who was controversially disqualified in May to stand as a candidate in the current election by the Guardian Council. 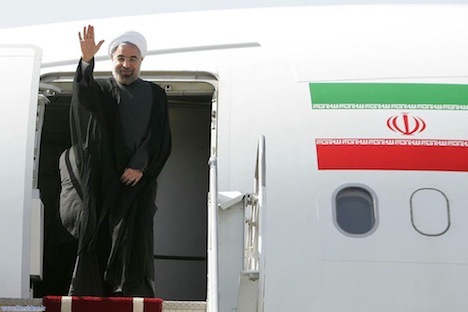 It’s a development that wasn’t entirely unexpected, and to the extent reformists and moderates don’t boycott the election entirely, it is very good news for Rowhani, who can try to unite to reformist and moderate camps in the hours ahead of Friday’s vote. So where does that leave the six-candidate field? Realistically, it’s a five-man race. Though he remains a candidate, it’s hard to believe that Mohammad Gharazi could win. Although he served as Iran’s oil minister from 1981 to 1985 and as communications minister from 1985 to 1997, he’s a leftist in the mould of Mir-Hossein Mousavi, who served as prime minister in the 1980s before his resurrection as a reformist presidential candidate in 2009. He’s run a campaign focused largely on economic management and controlling inflation. The remaining five — three principlists, another independent conservative and a reformist/moderate — are not so much vying to win outright on Friday so much as vying to win one of two spots in a runoff that will be held on the following Friday, June 21 in the event that no candidate wins over 50%. If that happens, as seems likely, there’s really no way to know who will emerge in the top two spots. Though polling is not incredibly reliable in Iranian elections, a recent telephone poll by the U.S.-based IPOS indicates 57% of Iranians have not yet decided but, among those who have, Qalibaf has a wide lead of around 40% against the remaining four candidate essentially tied for second between around 10% and 20%. That generally corresponds to other field polls, though Rowhani has led other similar polls. Rowhani has led the lion’s share of unscientific online polls since the campaign began in earnest, but those are even less reliable indicators of true support. No issue looms larger in Iran’s foreign relations than its nuclear program and global fears that Iran’s nuclear energy program could quickly transform into a nuclear weapons program. So it was with some sadness last month that one of the pioneers of international relations theory, Kenneth Waltz died just days before the Iranian election, which the entire world is watching in large part for its implications for Iran’s nuclear program. History shows that when countries acquire the bomb, they feel increasingly vulnerable and become acutely aware that their nuclear weapons make them a potential target in the eyes of major powers. This awareness discourages nuclear states from bold and aggressive action. Maoist China, for example, became much less bellicose after acquiring nuclear weapons in 1964, and India and Pakistan have both become more cautious since going nuclear. 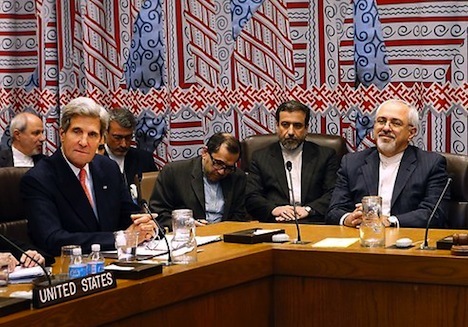 There is little reason to believe Iran would break this mold. As you might realize, this is a controversial position, and others have argued that Waltz’s views are irresponsible and short-sighted, though I’ve always found that Waltz’s reasoning on nuclear weapons makes a lot of sense. For many reasons, however, no one should expect that the United States will follow Waltz’s advice anytime soon. Israel’s regional nuclear monopoly, which has proved remarkably durable for the past four decades, has long fueled instability in the Middle East. In no other region of the world does a lone, unchecked nuclear state exist. It is Israel’s nuclear arsenal, not Iran’s desire for one, that has contributed most to the current crisis. Power, after all, begs to be balanced. What is surprising about the Israeli case is that it has taken so long for a potential balancer to emerge. Waltz, like the Leveretts, have argued that the West, generally, and the United States, specifically, have systemically assumed that Iran’s Islamic leadership means it will not respond to the typical deterrents that constrain nuclear-armed nation-states and that Iran will not act rationally in its national interest if it acquires a nuclear weapon. But despite Iranian support for Hezbollah and other groups that have at times wreaked major havoc throughout the Middle East, there’s really no tangible support for that view of Iran, which has conducted a foreign policy over the past 30 years that’s been more defensive than offensive. It was an U.S.-backed Iraq, after all, that launched an invasion of Iran shortly after the revolution. Even in light of often heated and inappropriate rhetoric against Israel’s right to exist, Iran has never launched a full-frontal military attack on Israel, despite some evidence that Israel has helped assassinate several of Iran’s top nuclear scientists and its demonstrated willingness in the past 30 years to launch preemptive strikes against other Middle Eastern states, including Iraq and Syria. Despite a widespread belief to the contrary, Iranian policy is made not by “mad mullahs” but by perfectly sane ayatollahs who want to survive just like any other leaders. Although Iran’s leaders indulge in inflammatory and hateful rhetoric, they show no propensity for self-destruction. It would be a grave error for policymakers in the United States and Israel to assume otherwise. Yet that is precisely what many U.S. and Israeli officials and analysts have done. Portraying Iran as irrational has allowed them to argue that the logic of nuclear deterrence does not apply to the Islamic Republic. 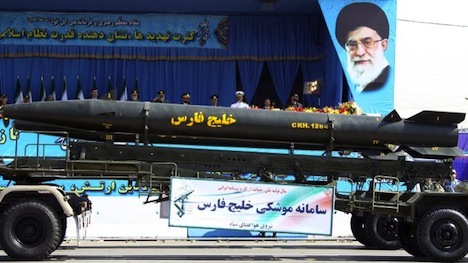 If Iran acquired a nuclear weapon, they warn, it would not hesitate to use it in a first strike against Israel, even though doing so would invite massive retaliation and risk destroying everything the Iranian regime holds dear. The biggest criticism against Waltz is that he too breezily dismisses otherwise valid concerns that nuclear weapons could fall into the hands of more radical terrorist groups or other non-state actors. 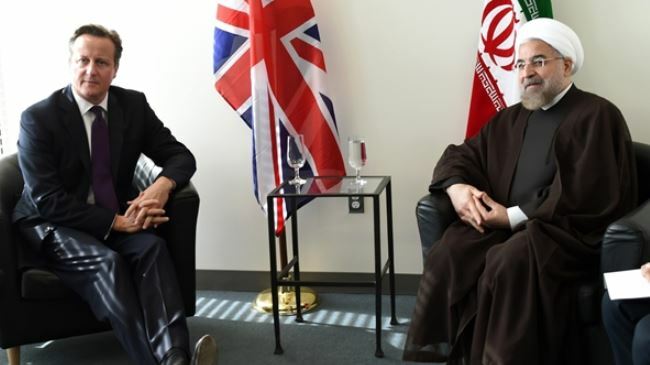 But it seems unlikely that Iran would hand over nukes to Hezbollah or Hamas or anyone other related groups because any such nuclear attack would invariably be linked to Iran, even if Iran didn’t turn out to be the ultimate source. (Let’s keep in mind that U.S. intelligence couldn’t tell the difference in 2002 the difference between a genuine nuclear program in Iraq and Saddam Hussein’s bluffing to make Iran think he had weapons of mass destruction). Furthermore, the risk of ‘loose nukes’ seems even greater in the context of the former Soviet Union or, more forebodingly, Pakistan, whose civilian government and military do not even exert territorial dominance throughout the entire country. No one seriously believes that U.S. negotiators are simply going to relent to Iran’s nuclear energy program so long as it could facilitate the building of an Iranian nuclear weapon, though. Talks have stalled throughout Ahmadinejad’s second term over the issue of whether Iran will allow its uranium to be enriched abroad, and while the chance of a military encounter between Iran and the United States remains relatively low, it’s not wholly out of the realm of possibility, and an Israeli strike against Iran could quickly escalate. 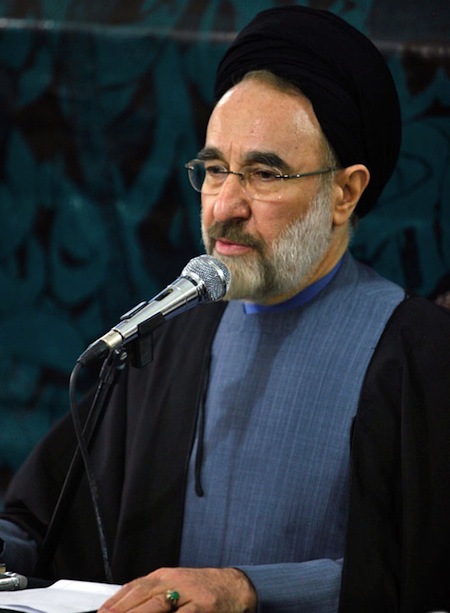 What will Mohammed Khatami do? 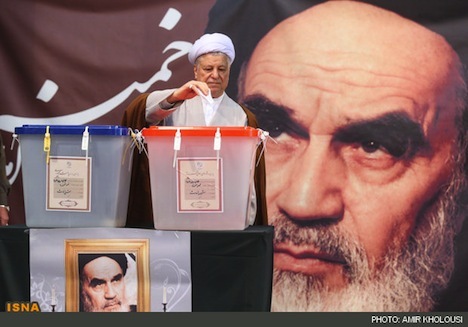 Despite the fact that many U.S. commentators have written off Iran’s upcoming presidential election as somewhat of a bore with the rejection of the candidacy of former president Hashemi Rafsanjani, there’s still plenty of intrigue. If the first step of the Iranian presidential election was the ‘pre-qualification’ phase, and we’re currently in the second phase, the third and final phase is likely to be the whittling down of the current eight remaining candidates to just one or two major conservative frontrunners (perhaps Iran’s nuclear negotiator Saeed Jalili) and one moderate candidate. Rafsanjani’s exit from the campaign doesn’t mean that reformists don’t have options, and one of the key questions is whether reformists (and moderates like Rafsanjani) will unite behind a single candidate and, if so, who they will support and how strongly they will support him. No one is more central to that question that another former Iranian president, Mohammed Khatami, who succeeded Rafsanjani in 1997 as a surprising dark-horse presidential candidate. Khatami is by far the most liberal of the four major presidents of Iran’s Islamic Republic — the conservative Ali Khamenei has been the country’s Supreme Leader since 1989, Rafsanjani has always been a middle-of-the-road, moderate conservative in Iranian politics, and Mahmoud Ahmadinejad has been a stridently conservative president, even if he’s clashed with the Supreme Leader and even though he’s been more populist than his predecessors. Although Ahmadinejad has, in some ways, proven more successful in clawing more power for the presidency, Khatami wasn’t wholly ineffective as president. He oversaw a period of looser restrictions on freedoms in Iran, deeper engagement among Iranian civil society groups and, while U.S.-Iranian relations were not necessarily good during the Khatami era, he promoted what he called a ‘dialogue among civilizations’ between the Islamic Republic and the West. Khatami, who openly supported Rafsanjani’s now-aborted presidential campaign, has been coy about his favorite among the eight remaining candidates. 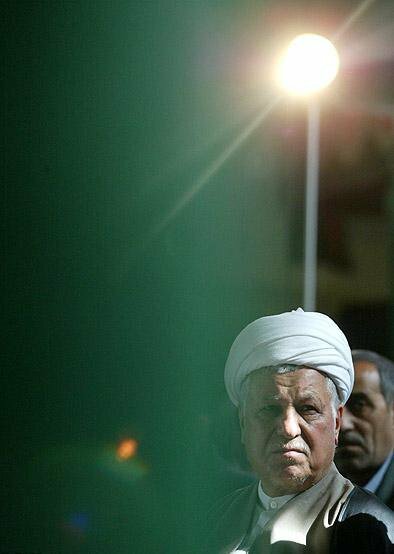 For his part, Rafsanjani has also been quiet. No one thinks about ‘southwest Asia’ as among the world’s regions. But should we? the election of a new government in India before the end of May 2014 — likely to be headed by the latest member of the incumbent party’s family dynasty, Rahul Gandhi, or the sprightly chief minister of Gujarat, Narendra Modi — that will end of a decade of rule by prime minister Manmohan Singh. Taken together, it’s a moment of extreme political change in South Asia, with turnover in each of the five pivotal countries (with a cumulative population of over 1.65 billion people) that touches and concerns the ‘Af-Pak’ region, and the greater South Asian region generally, which could well be the world’s most sensitive security theater and remains a critical region for global economic development — India is one of the four BRIC countries, and Bangladesh, Iran and Pakistan are each ‘Next Eleven’ countries. That’s without mentioning the fact that we’ve just entered the first year of what’s expected to be a decade of leadership by Xi Jinping and the ‘Fifth Generation’ of Chinese Communist Party leadership in the People’s Republic of China, and the ongoing interest of Russia as a geopolitical player in the region, with so many former Central Asian Soviet republics bordering the region. It’s also without mentioning the thaw in political repression and diplomatic isolation currently underway in Burma/Myanmar. For some time, discussion about the European Union has involved the caveat that major policy initiatives on EU policy, especially with respect to monetary union and fiscal union, are on hold until the German federal election, which will take place at the end of September 2013. It’s reasonable to assume that Angela Merkel will want to secure reelection as Germany’s chancellor before pushing forward with new changes. But that pales in comparison to the political transformation that will take place in west Asia in the next 12 months, even though I see very few commentators discussing that when they talk about Iran, south Asia, Af-Pak, etc. In many ways, I think that’s because foreign policy analysis don’t typically think about this particular set of countries as a discrete region in its own right. Iran comes up in the context of the Middle East and much more rarely in the context of Afghan or Pakistani security, even though Iran’s population is comprised of Persians and Azeris, not the Arabs who otherwise dominate the Middle East. It’s more common to think about Pakistan today in the context of Afghanistan (for obvious U.S. security interest reasons) than in the context of Bangladesh, even though Bangladesh continues to battle over political ghosts that originated in its 1971 war of independence from Pakistan. But how much of that has to do with, say, early turf wars in the Obama administration between the late diplomat Richard Holbrooke and other envoys, or the Bush administration’s initial approach to the global war on terror? 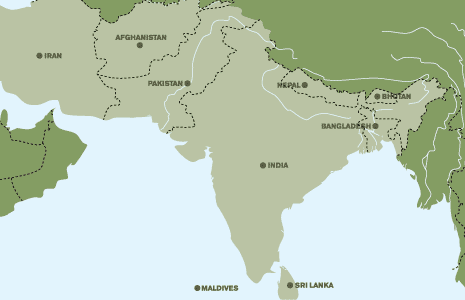 It’s common to think about Pakistan, India and Bangladesh together (but not Iran) because they were so centrally administered together as part of the British empire from the 18th through the 20th century. Looking forward through the end of the 2010s and the 2020s, do any of those linkages make as much sense? Without channeling the spirit of Edward Said too much, what do we even call the region spanning from Tehran to Dhaka and from Mumbai to Kabul? West Asia? Southwest Asia? Though I cringe to call it a Spring, make no mistake — the leadership realignment has the potential to remake world politics in ways that transcend even the Arab Spring revolts of 2010 and 2011. A major challenge for the remaining 8 presidential candidates will to get anyone to care about an election conducted on a vary narrow basis, which might well be fixed anyway. Anyone with a passing familiarity with Hannah Arendt’s The Origins of Totalitarianism will realize that the current Iranian government falls pretty far from the two traditional examples of 20th century totalitarianism — Nazi Germany and the Stalinist Soviet Union. To throw around the term ‘totalitarianism’ this way only serves to disrespect the memory of those who suffered under the truly horrific Nazi and Stalinist regimes and to amplify the heated rhetoric over Iran.